Yup, that would be beans in the driveway. Following on from our earlier our weeds are lettuces, here is the latest rogue to grow in our pebble driveway. Yes, that’s a purple bean plant, self-seeded into a bed of stones. It just goes to show that even edible plants that we take for granted are incredibly resourceful and adaptable. Now to drive around it, as I can’t bring myself to pull it out — it looks so happy where it is! This entry was posted in Growing our own food and tagged beans, weeds. The flowers attract beneficial bugs into the garden, which keep the aphids (etc) in check. We practice ‘seed saving’, which allows us to keep sowing our favourite vegetables without having to buy new seeds. Down the track, the seeds end up germinating throughout our garden, giving us extra crops of our commonly-eaten plants. Our lettuces are a perfect example. The photo above shows a lettuce that self-seeded in the middle of our driveway — a very useful weed! Lettuces have also sprung up amongst our beetroots, and in our other garden beds. This entry was posted in Growing our own food and tagged lettuce, spring, weeds. The first is a self-published book covering common weeds, their identification and use. Don’t be fooled by the name: this book is applicable throughout temperate regions in Australia, including Sydney. The second book is professionally published, and covers much the same ground, but with more pictures. Both are truly excellent, and they make you look at “weeds” in an entirely new way. Many of the most common weed plants are edible, as salad ingredients, steamed or in stir-fries. They also have many medicinal uses. That’s quite a list! With the plants growing at different times throughout the year, we’re going to make an effort to make use of what’s growing wild, to supplement our garden crops. We’re also using them to give our chickens a green feed every morning, which is probably why their yolks are so yellow! 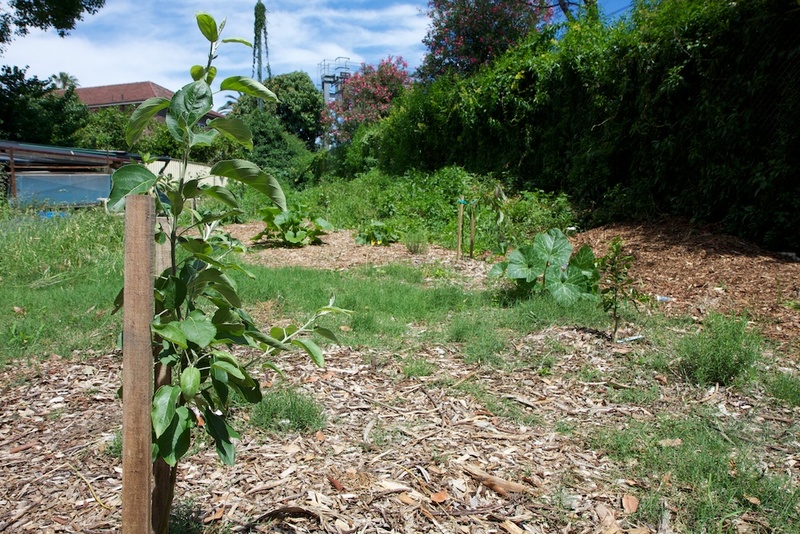 This entry was posted in Growing our own food, Guerrilla gardening and tagged food forest, guerilla gardening, weeds. 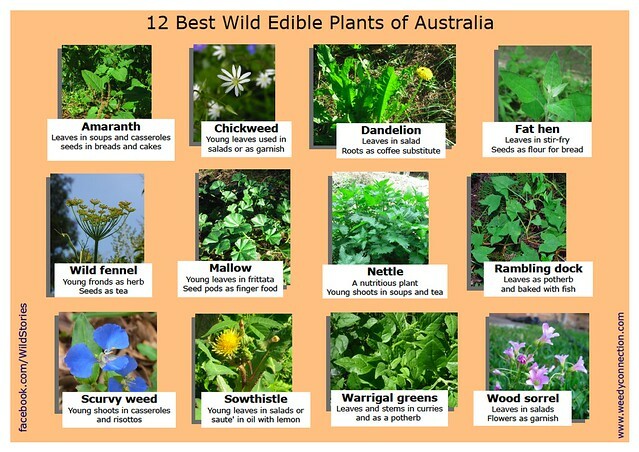 The Weedy Connection have posted a great image listing the most common edible weeds in Australia. This entry was posted in Growing our own food, Guerrilla gardening, Useful resources and tagged edible plants, weeds. With the winter growing season drawing to a close, it’s time to clear the garden beds to make space for spring planting. So out come the huge broccoli plants that have kept us so well feed over the last few months. With our two compost bins and one worm farm already full to the rim, a new plan was required if all this green material wasn’t to go to waste. 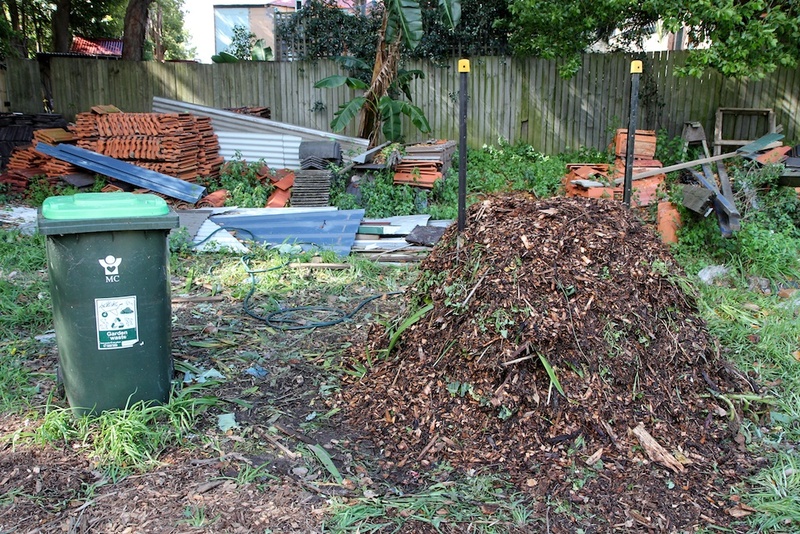 So I decided to construct a hot compost heap, consisting of layers of green and brown material, at least one cubic metre in volume. In went the old plants from the garden beds, and all the weeds from out the back. The brown material is mulch donated by the local tree trimmers and a pile of old leaves. Hopefully if I turn it a few times, I should have a big pile of rich compost in time to top up our raised garden beds. And in the same vein, beside the new compost heap is the council green bin containing our weed tea. With an unlimited supply of weeds, they get drowned in water and anaerobically “brewed” for at least a month. The result is a liquid that smells really nasty, but when diluted keeps the fruit trees extremely happy. This entry was posted in Growing our own food and tagged broccoli, compost, spring, weed tea, weeds, winter.